HUNTSVILLE, Ala. -- The Rapid Capabilities Office is doing what it was designed to do and has already kicked off major efforts with goals to field some initial capability to soldiers by the end of the year. But in order to move forward with some very near-term and readily available capability, the organization is looking for more funding, Doug Wiltsie, the RCO's director, told Defense News in an interview at the Association of the U.S. Army's Global Force Symposium in Huntsville, Alabama, last week. The office -- officially created in August -- is designed to zero in on the Army's biggest requirements with the intent to deliver capabilities within a one- to five-year horizon. It's part of the service's aggressive overhaul to its troubled procurement system and pushes even beyond acquisition reform outlined in congressional defense policy. 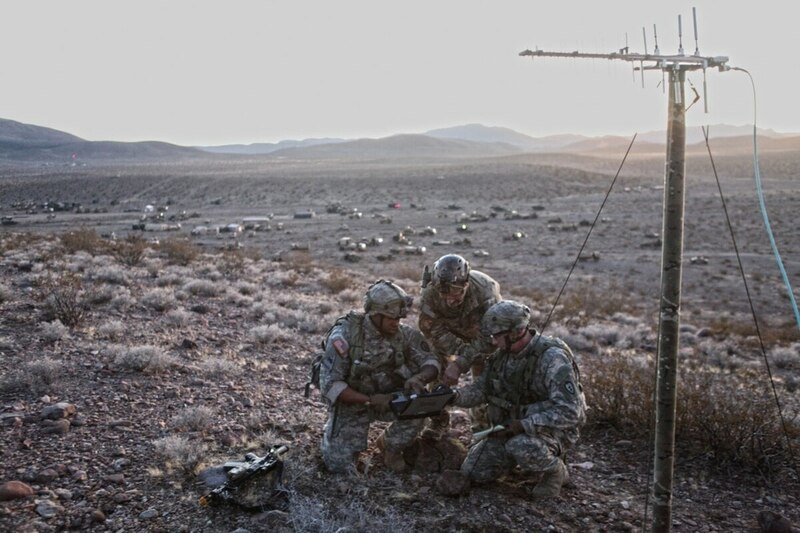 The RCO, at its launch, said it would prioritize developing capability in the areas of electronic warfare, precision navigation and timing, and cyber, areas that were neglected in the counterinsurgency operations of the past 15 years. Now that the Army is anticipating having to go up against more near-peer adversaries in contested environments, it is turning its attention back to making sure its capability overmatches those possible enemies. By December the RCO had approved a strategy for a "phased" way ahead to rapidly prototype electronic warfare capability. The first phase is moving along and the solution is beginning testing, Wiltsie said. It’s headed to the Network Integration Evaluation 17.2 in July at Fort Bliss, Texas. The solution will focus on conducting "ground maneuver in an electronic warfare environment and engage both lethal and non-lethal effects," Wiltsie said. The RCO is looking to accelerate the second phase that will involve teaming with the Air Force to prototype an airborne EW element, Wiltsie said, but the office is trying find some money to move forward. The Air Force has a capability that "we are very, very interested in," he said, that could accelerate fielding of the capability by about nine months. The office is working closely with Congress to find funding for the project, Wiltsie said, adding, "velocity gets dictated by funding." Beyond the second phase, the office is looking at electronic frequencies that "we can’t see right now. We don’t have a very good understanding of very, very high frequencies," Wiltsie said, "so the third phase is to bring a capability to address those plus whatever we need to improve based on the increment 1 fielding and increment 2 prototyping." The RCO has also approved a strategy for PNT, which it was still working on in December. The strategy, however, is also waiting on funding to progress, Wiltsie said. While the RCO waits for money, "we’ve got efforts going that are smaller" and will look at more alternatives that will give the service more depth and breadth of what PNT technology can do, he said. Due to the complicated nature of cyber security and cyber warfare, the RCO is still working on a strategy to develop capability. The office is aware of three or four areas where capability is needed rapidly, Wiltsie said. "We are doing assessments in those areas so when [U.S. Army Cyber Command] gives a priority list, we can say this is what we can provide quickly," he noted. The RCO is not directly involved in rapidly fielding counter-unmanned aircraft systems capabilities, as the U.S. Army Fires Center of Excellence has moved out on solutions that are fielded to soldiers in theater. But the RCO is focusing internally on solutions to countering UAS threats two or more generations down the road that would focus on more complicated threats like swarming drones. The office is starting to have conversations with the Defense Advanced Research Projects Agency, the Defense Innovation Unit Experimental and the Pentagon’s Strategic Capabilities Office about what they are doing in the field, "so we can learn from what they’ve already done, so we can understand where we would be able to help."